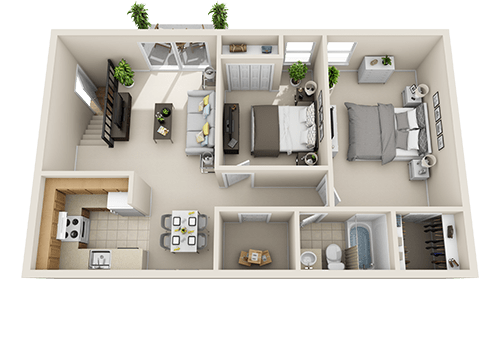 Choose from our gorgeous studio, 1, 2 & 3 bedroom floor plan options at Woods of Williamsburg Apartments. 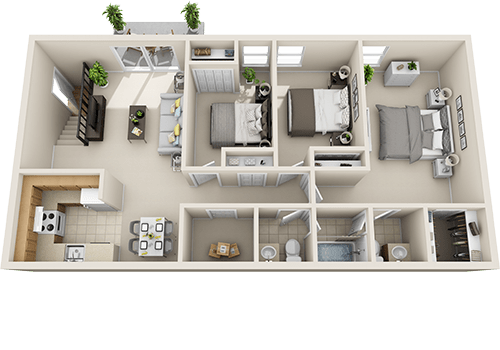 Inside your new Williamsburg, VA, apartment, you’ll see the care we put into designing attractive apartments. Find eye-pleasing features like white cabinetry and matching white appliances in your kitchen. 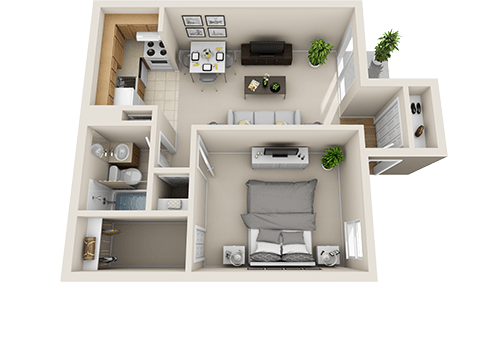 Plus, in select floor plans, enjoy washer and dryer connections for convenient in-home laundry access, or use on-site laundry facilities to check chores off your list in a snap. 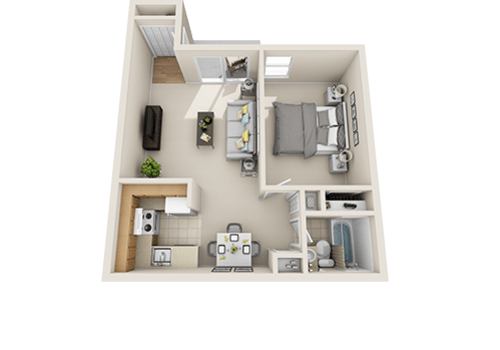 Features like a walk-in closet will make budget-friendly living feel luxe at Woods of Williamsburg Apartments – a premier apartment community sure to serve your lifestyle. 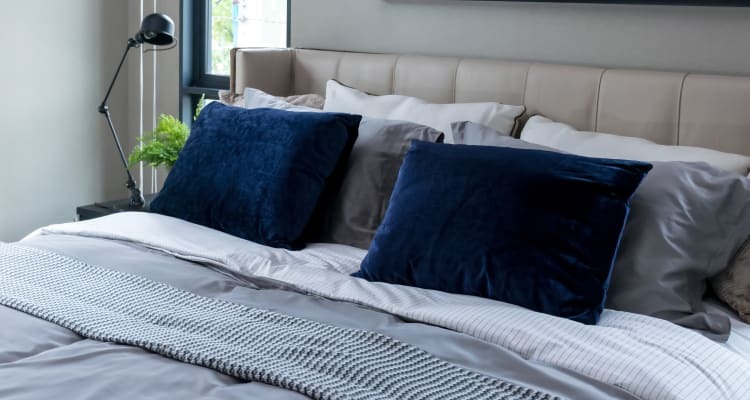 Inside your new apartment home, you’ll feel as though you’re away from it all in a natural setting while still having access to every appliance you need. 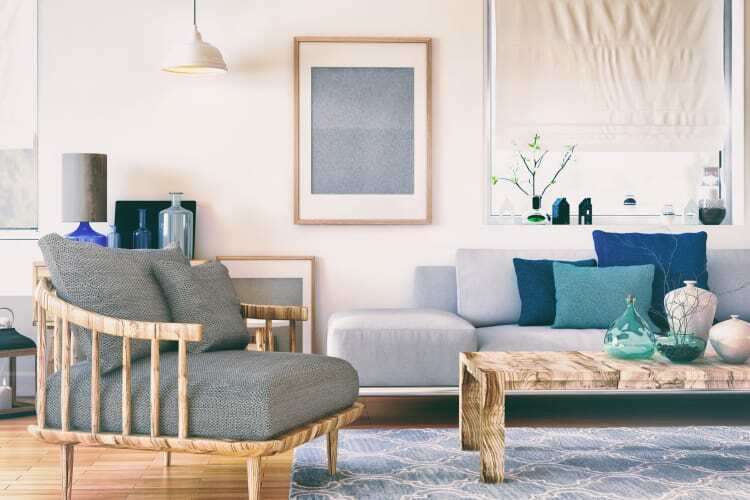 Stay cool with convenient, comfortable in-home air conditioning. Contact one of our team members today to schedule your personal tour.